Free and open to all, the event includes open console and arcade gaming along with gaming tournaments. The eSports scene in Northern Minnesota continues to speed along with the 3rd annual Gigazone Gaming Championship at the Sanford Center in Bemidji, Minnesota!. This year we’ll see Overwatch take the main stage as teams from around the area compete for cash prizes and glory! In addition to the Overwatch tournament, the public is invited to participate in open console and arcade gaming throughout the day along with tournaments of Rocket League, Madden 18, Mario Kart 8, Super Smash Brothers, Magic the Gathering, and Fortnite! Admission is free for tournaments at the event plus there will be chances to win great door prizes throughout. There is also a Cosplay Contest for those who dress up and embrace their inner fantasy character with prizes of up to $200 for the top costume of the weekend. Consoles systems to try will include Xbox One, PS4, Nintendo NES Classic Mini, and Nintendo Wii U. Games on the various console systems will include Madden 18, Super Mario Brothers (speed runs), Rocket League, Super Smash Brothers, Mario Kart 8, and more. Arcade games to play will include but aren’t limited to, Ms Pac, Galaga, Big Buck Pro Hunter, Battletoads, Police Trainer, Alien vs Predator, Rush The Rock, Pirates of the Caribbean Pinball, Surfin’ Safari Tekken, Confidential Mission, Vapor TRX, Neo Geo, Silent Scope, and Pole Position. “With the GigaZone providing Internet speeds up to a Gigabit per second it is the ultimate connection for the online gaming experience. Our cooperative has one of the largest rural fiber gigabit networks in the country and this event showcases the GigaZone Internet speeds and the impact it has on the overall gaming experience.” added Leo Anderson, Paul Bunyan Communications Digital Services Supervisor. “We had such a great turnout last year and we hope even more will come to check it out this year. Concessions and GigaZone Gaming Championship merchandise which will be available for purchase too. Whether you are a competitive gamer or like me, just a casual player, the GigaZone Gaming Championship has something for everyone,” added Brian Bissonette, Paul Bunyan Communications Marketing Supervisor. 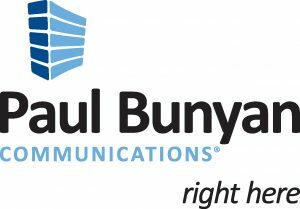 Paul Bunyan Communications has the region’s largest and fastest all fiber optic network with over 5,500 square miles throughout most of Beltrami County and portions of Cass, Hubbard, Itasca, Koochiching, and St. Louis Counties. The Cooperative provides Broadband High Speed Internet Services including the GigaZone, digital and high definition television services, Smart Home services, digital voice services, Residential and Business IT services, and is also northern Minnesota’s certified Apple Service Center.